Find/replace is a ubiquitous and overlooked digital technology with important technofeminist potentials. We examine the significance of find/replace as an inventive process and offer a case study of the swipe function’s ideological effects in the highly gendered dating app environments of Tinder and Bumble. We describe a playful pedagogy (patagogy) connecting find/replace and swipe technologies to pataphysics as heuristics for exploring ways to create positive, gender-equitable sociotechnical systems. “Swiping right” on that cliché matches one to a techno-neutral position where users put the rhetoric on and in the tool, where users are the inventors of technology’s meaning. The focus here is on individual user agency. It’s a techno-masculinist match, emphasizing taming technology, controlling the tool. The cliché ignores technologization of practice: the embedded social conventions that grow and evolve with technologies, which make it difficult to imagine how to use technologies in non-conforming ways (Jones and Hafner, 2012, p. 200). The cliché denies the complicated ways social systems are undergirded through technological practices. The cliché denies what the technofeminist movement seeks to reveal and transform–to describe gender inequity in sociotechnical systems and to create equity in these same systems (Johnson, 2010, p. 12). It’s also important to remember technofeminism must call for sociotechnical systems that are not just good for women and are gender equitable, but are intersectional systems as well. Angela Y. Davis (1990), though speaking specifically about African American’s contribution to the women’s movement, makes an important technofeminst point: In order to be truly feminist, technofeminism must strive to equitably serve all women of different backgrounds, paying attention to people of color rather than ignoring their unique positions and experiences (p. 9). Our article explores these technofeminist aveneues for thinking and design keeping find/replace in mind. In Technofeminism, Equity, and Empathy, we discuss our understanding of technofeminism as well as a technofeminist ethic and its connection to equity. Find/Replace shows how the find/replace function can lead to critical thinking and invention, how the sociotechnical aspects of the function lead to technofeminist play, and how find/replace is a good metaphor for describing people’s relationships to digital technologies. Swipe and Find/Replacing for Love examines the affordances and constraints of swipe’s find/replace sociotechnical functions. This section serves as a case study in technofeminist potentials. We focus our attention on the Tinder and Bumble dating apps, showing how swipe can be equitably designed in highly gendered dating environments. Patagogies concludes our webtext, describing a playful pedagogy influenced by pataphysics using find/replace and swipe as invention strategies for creating positive and equitable sociotechnical systems. It may seem we are making mountains out of molehills in analyzing cliché. Clichés, however, are ubiquitous technologies, which serve as “common sense” guides emphasizing particular worldviews. Playing with their assumptions helps in understanding how people make sense of culture. Throughout the essay, we practice find/replace with cliché. We substitute, select, and deconstruct clichés to adjust with their meanings and create new relationships with them as demonstration of find/replace in action. These clichés, furthermore, support another technology myth: access + will=success. As we know from Selfe (1999), Warschauer (2003), Selber (2004), and countless other scholars, there are many layers to technological integration besides physical resources (i.e., computers). More holistic approaches are recommended, which takes human resources (e.g., education and literacy) and social resources (e.g., community buy in and feedback loops between stakeholders) into account. Recently, Chamberlain, Haver, and Hartline (2015-2016) have added another important and related layer to technofeminism: the importance of cultivating design dispositions in girls learning to compose in digital environments. The DIY ethic fostered by the myth is not an equitable position. It’s isolating and plays into the techno-masculinity—do it alone, without help or consultation—that seems to be at play in much technological design. Bronet and Layne (2010), for instance, criticize techno-masculinity in their observations arguing for women’s representation in decision-making panels about technologies designed for them. Bronet and Layne recount the story of how one female designer created the “Eve racing suit” (p. 191) for women automobile racers as an alternative to the “regular” racing suit, which was designed for men. The design of “Eve” would allow women to go to the bathroom and cool themselves off without removing the whole suit, like men are able to. The panel of men judging the need for the suit viewed it as a “‘girl power’ project” (p. 191). The judges were unable to identify with women stakeholders beyond superficial politics. Bronet and Layne highlight the inherent problem with a techno-masculine ethic, namely that equality cannot exist if equality is not represented in design decisions. A techno-masculinist position often hinges on the “separate but equal” idea interpreted in odd ways with regards to gender. “Feminizing technologies,” where the default technologies are men’s and women’s versions get advertised differently, promote such values. Bic pens for women and “female” razors, for example, are technologies that do not need to be “feminized,” yet, the pens and razors come in “feminine” colors as they are being “dressed up” to “conform to a male-defined ‘feminine aesthetic’” (Layne, 2010, p. 6). Layne notes how the feminization of technology does not make the technology feminist. In fact she notes it often has the opposite effect, as the technology can end up perpetuating and increasing the gender gap (p. 4). The idea of separate but equal doesn’t it make it into shopping aisles though—consider the “Pink Tax” or the phenomena when either exactly or nearly the same products are priced higher for women. For instance, Excedrin Complete Menstrual costs 50 cents more than Excedrin Extra Strength though both have the same ingredients in the same quantities (Editorial, 2014). The difference between creation and cost of everyday products suggests men and women are separate and unequal rather than people who are different and are socio-culturally equal. $100,000/year? Probably not. 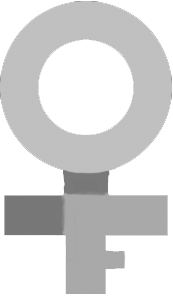 Similarly, with regards to design dispositions and experiences with technology, is it fair to “do unto others” and maintain the status quo where classroom environments are subversive to building girls’ and women’s confidence in technological design because they subtly emphasize boys’ and men’s “innate” techno-abilities? The Technopoly story is without a moral center. It puts in its place efficiency, interest, and economic advance. It promises heaven on earth through the conveniences of technological progress. It casts aside all traditional narratives and symbols that suggest stability and orderliness, and tells, instead, of a life of skills, technical expertise, and the ecstasy of consumption. Its purpose is to produce functionaries for an ongoing Technopoly. Though clichés have existed before Postman theorized about technopoly, clichés can be considered part of that system. Clichés are efficient for communicating and “get you off the hook” “so to speak.” They’re “readymade” or copy/paste rhetoric for efficient communication, for “common sense.” They can be emotionally helpful. Sometimes maybe it is helpful to “not care what people think.” “Breaking up is hard to do” and giving oneself a break from scorn, shame, and feelings of failure are significant outcomes of cliché. As copy/paste “readymade” technologies, clichés can be copy/pasted and applied efficiently to many different contexts. For instance, the cliché “there are more fish in the sea” can be said to console someone after a breakup, or to console a high school student after their first college rejection letter rolls in. ago, “marked” differently—revealing assumptions about gender in our culture. There are other extensions like “Search and Replace” that let people find/replace content on web pages with their own terms. Find/replace function, furthermore, asks one to invent, to be creative, and play with concepts and assumptions and altering default perspectives of the world: try “One-size-fits some people,” try finding and replacing “argument” with “agreement” in Andrea Lunsford’s popular textbook on effective communication practices—Everything’s an Argument. Experience how the world changes using find/replace. It becomes less about technomasculinity and more about technofemininity: the joy one feels at coming to understand one another. In less dense words, Boyle is find/replacing notions about copy/paste in his prepositional play, enacting a metastable orientation/perspective. Rhetorical practices often occur through one set of relationships, affirmed or agreed upon, based on assumptions and repeated practices, where thoughts are guided by a stability of prescribed rhetorical lenses and ideas. Boyle argues for a disruption of what appears stable by imagining different relationships between objects, subjects, and mediation. Much power in Boyle’s thinking is connected to equity, in imagining and acknowledging different relationships, their combinations, and inventing new ones, though we may not know the results because such find/replace play is uncertain. Such uncertainty in find/replace can be seen in the inequitable responses to #blacklivesmatter. Movements such as #alllivesmatter and #bluelivesmatter are actions of find/replace. The movements replace #blacklivesmatter and express equality between types of persons while denying equity between types of persons and experiences in the world. Find/replace is, at least, aporic and “opens the door” to thinking in terms of equity, to understanding that “All men [and women] are created equal” is a myth in so many ways (e.g. biological, cultural, social, economic, etc.) but that in order to create justice one needs empathy, one needs to consider equality and equity simultaneously. It would be better to accept difference and find/replace America’s guiding cultural principles with “All people should be treated equitably.” What we mean is technofeminism emphasizes equality and equity in technological design and use. Find/replace unlike copy/paste is a process for pointing out the difference and asks about the benefits and drawbacks of greeniness and grassiness. because it’s always right once in a while. And “once in a while” is what is easily remembered because a gut was once correct. “Once in a while” is confirmation bias, is copy/paste. It’s the anti-technofeminist notion for confirming one’s own beliefs. The echo chamber also plays into confirmation bias and copy/paste algorithmically as news and advertising suggestions copy/paste the same things over and over—the things that are likely to keep your gut regular and right “once in a while” a lot of the time. As Tom Nichols (2017) observes in The Death of Expertise: The Campaign Against Established Knowledge and Why It Matters information never goes away. Even if anti-vaccination movements have been pretty much disproved, as he notes, the information lingers around bouncing around echo chambers for a long time. It’s difficult to find equity or equality in such uses of technology. Find/replace, as one can see, does not always “catch more flies with honey than with vinegar.” It’s a technology in dialogue with copy/paste, with reframing what’s come before. Find/replace, though, has to be a technofeminist process. Find/replace is the act of difference and imagining empathy, for understanding different points of view and thinking in more equitable ways. so start swiping and practice match and release. Swipe, the find/replace dating app function, is changing and challenging the rules and cliché that come with the dating game. More people are choosing to swipe left on outdated and sexist clichés that end up harming relationships. They are swiping right on ideas of equity and romantic freedom. Instead of promoting the idea that users will “meet the one,” swipe in Tinder and Bumble invite users to the possibility of meeting many “ones.” It seems easy to make grand romantic assumptions if you have no basis of comparison, especially if one has been fed romantic clichés and media instructing one to wait for a “knight in shining armor.” Romantic clichés like this further sexist tropes like the damsel in distress and disempower women. Swipe on Tinder and Bumble though are practices at “breaking up” these clichés. It’s difficult to deny the power of clichés in dating. “Knight in shining armor,” “love at first sight,” and “love conquers all” are still prejudices and assumptions people carry about romance and ideal relationships. Coupled with notions that all women want to be chased and that men must pay for the meals sets up unrealistic and sexist expectations on dating and relationships. And though it seems like media has progressed beyond such positions, even the recent and hailed Wonder Woman (2017) displays and perpetuates these ideas. After watching Diana emerge victorious from a bar fight, a character remarks that he is “both frightened and aroused,” thereby reducing Diana’s feat of strength to a sexual act; it’s almost as if she still needs a knight, even if she can protect herself. Additionally, it seems important that she finds her “one true love.” It is easy to read Diana as never getting over Steve Trevor’s death, remaining chaste over half a century later. Swipe challenges such clichés by enabling women and men to move beyond “the one” idea and its connotations. Swiping for love is empowering and can be considered a find/replace for “traditional” notions of romance. While we appreciate how Tinder values the ethic of efficiency and how the ethic can reframe romance, we are also troubled in how it ignores an ethic of safety as the company focuses on telling its users to “Keep Swiping” rather than focusing on making the app safer for its female users. While all users are able to block or unmatch with other users they find distasteful, women are still exposed to receiving lewd messages from trolls, seemingly on a consistent basis. Given the history of Tinder’s creation, this lack of concern for female user safety is unsurprising. At least that’s what “bad boys,” or in this case, investors would like to believe. Recently The New York Times published an article explaining the prevalence of sexual harassment in the techno-sphere. Katie Benner (2017) tells the stories of female entrepreneurs who were denied positions and funding after rebuffing or ignoring the advances of investors and potential employers. Susan Wu, entrepreneur and investor, remarked on the situation, stating that “there is such a massive imbalance of power that women in the industry often end up in distressing situations.” Whitney Wolfe, co-founder of Tinder and founder of Bumble, was one of these women. Wolfe was inspired to create Bumble after leaving Tinder due to the sexual harassment she encountered from Tinder co-founder Justin Mateen. In her interview with Leora Yashari (2015), Wolfe explains that she initially wanted to create a social networking app that was specifically for fostering connections and positivity for young girls, but was inspired to create Bumble instead after Andrey Andreev, founder of Badoo, reached out and convinced her to play to her strengths (Yashari). Wolfe created Bumble, find/replacing the function and technologization of practice (i.e., the rules) of romance. Wolfe argues Bumble is “the first feminist, or first attempt at a feminist dating app” that focuses on “encouraging equality” (Yashari), thereby re-scripting and altering the sociotechnical machinations of the technology. By having women make the first move, Bumble is challenging the sexist idea that men must take charge in romance while also making the app a safer place for women to be. It is too early to tell if Bumble is a complete success in the dating app world or as a technofeminist technology. For instance, Bumble (2016) caused a stir in the news after publicly banning user Connor for losing his cool on one of Bumble’s female users. The screenshots attached to Bumble’s open letter reveal Connor accusing user Ashley of being a gold digger for asking about his job as a part of a conversation. It is difficult to tell if such negative reactions or trolling is becoming rampant or if Bumble’s unique function and rules actually do limit trolls and lewd or hurtful comments due to the newness of Bumble and the lack of studies comparing Tinder and Bumble. However, it would be difficult to deny that Bumble is a positive force in the world of online dating. Wolfe has both challenged the status quo of romance while helping female “gendered bodies” navigate the troll filled and “oppressive” world of online dating. Not only was Wolfe able to re-script a sexist app into a technofeminist one, but was also able to reclaim swipe as a technofeminist function. Swipers of color face another disadvantage. Though they are less likely to get matches, they’re more likely to get racially targeted messages asking about their country of origin or for intimate details about their personal lives. On top of this, even just the action of swipe can be considered a systemic microaggression, allowing users to judge a book by its cover and quickly swipe left of those who don’t fit in with their preconceived racialized notions of beauty and attraction. As Sarah Wachter-Boettcher (2017) argues, these small digital microaggressions “reinforce biases and embolden bad behavior in the rest of the population” as “technology and design… increasingly inform culture” (p. 196). There is a light at the end of the tunnel where one can see changes in systemic dating demographics, however. According to a recent study (MIT Technology Review, 2017), researchers found that the rate of interracial marriages has increased rapidly, and while they cannot prove causation between the rate of interracial marriages and the use of dating apps, they do hypothesize that dating apps may have lead to this demographic change. Not only did “the percentage of new marriages created by interracial couples increased rapidly” after the introduction of one of the first dating websites in 1995, but the percentage increased again “shortly after the creation of Tinder,” according to researchers. While society still has a ways to go in terms of racial equity both in the world of technology and the real world, it’s comforting to know that change may slowly be coming in how people select partners. because Technology is the father of inequity. Or, as we’ve argued, mom’s relationships to technology are often responses to dad’s default techno-machinations. Technofeminism is that response, is that necessity and invention for equity in a gender imbalanced culture. Creating “necessities” to inspire invention is not always easy, however. Seeing through the default and recognizing inequities at play in technologies of gender takes practice and its own set of technologies. As we’ve shown in our play with cliché, the find/replace function and ethic is a helpful heuristic for exposing the default, for imagining equity, and for locating inequality. Our inspiration for such play comes from the disruptive, quasi-artistic movement out to challenge objective truth: pataphysics.3 Developed by Alfred Jarry in the 1890s, pataphysics has influenced many schools of thought including surrealists, situationists, Oulipians, and postmodern thinkers. Pataphysics is fundamentally find/replace and aporic in its process, of disrupting cultural scripts. At its heart “‘pataphysics is an imaginary science that provides literary, artistic and linguistic methods for exploring the world, as opposed to the empirical methods of the hard sciences” (Dennis, 2017). For us, pataphysics is an invitation to play with rhetoric and composition. It’s the algorithmic act and instinct one develops to find/replace the default and discover the exceptions to rules and rhetorics of equality, which are rarely equal and scarcely equitable. To be a little less abstract, anomaly looks for exceptions or differences in systems that “value the norm of equivalence” (Bök, 2002, p. 11); syzygia is an alignment or surprise that occurs when things that seem different conjoin, to equate things in systems valuing the “norm of difference” (Bök, 202, p. 11); and clinamen is an unexpected swerve that seems irrelevant but points us to something else; Hugill (2012) points out clinamen is like the situationist’s “detournement” in which texts are recontextualized and given a new meaning often the opposite of the original (p. 16). It’s culture jamming, in other words. positive statement with a negative subtextual one. Both puns and adianoeta count on carrying both meanings, not necessarily applying the contrary, like with irony. The swerve in a clinamen is using chiasmus and antimetabole to detour meaning and adjust an aphorism for unexpected results: “it’s one small step for mankind and one giant leap for man” has swerved meaning away from Neil Armstrong’s intention with a new, less positive meaning. Anomaly is irony in pointing out contradictions, implying a challenge to equivalences. Paralipsis, for example, points out anomaly by pretending to pass over something, which is not equivalent: “It would be unseemly for me to dwell on Senator Kennedy's drinking problem, and too many have already sensationalized his womanizing…” (Paralipsis) Our play with cliché often relied on antithesis in our juxtaposing of contrasting words and ideas to find anomalies in generalizations. With regards to digital technology, there has been work done in creative computing using pataphysics. Hugill et al. (2013), for instance, have been playing with pataphysical find/replace technologies to inspire invention in search engines. Disappointed with the echo chamber and how search engines retrieve basically the same results for searches, Hugill et al. imagine developing a “syzygy surfer” or pataphysical search engine based on “patadata.” The search engine is a sort of subjective engine that retrieves results for search that are syzygistic, anomalous, or clinamen. The emphasis is not on utility but on surprise, new associations, and a “web search can facilitate inspirational learning through an exploratory search journey…” (p. 249). In a similar vein, Hugill and Yang (2016) are working on PRASCAL, a pataphysical computer programming language similar to PASCAL. The goal, again, is to introduce pataphysical concepts into computing, to introduce surprise and creativity by using pataphysical principles like syzygy, anomaly, and clinamen. Though we aren’t computer programmers, we feel like command/ctrl + f function and its ethic is a powerful way to be pataphysical and to invent—to anamolize, sygizize, and clinemanize. So we find/replaced a pataphysical search engine with “feminist” search engine and it led us to a number of wonderings and wanderings. How could a feminist search engine differ from Google or Bing? How could it be equitable? How could a feminist search engine challenge the echo chamber? If a feminist search engine exists, a search engine that brings back equitable results, what would be the indicators of such results? What would autocomplete look like in such an engine? Would information be presented in a syzygistic way, perhaps, with a table of popular results and less popular results side by side in a modified hierarchy? Could anomaly be used to by juxtaposing findings with with Google to show systemic biases in search and culture more clearly? Along similar lines, we find/replaced a little more and wondered what a feminist autocorrect could look like. Could it find/replace constructions of real and real constructions? In other words, what would be the syzygistic consequences of replacing terms like men and women with men and “men” and women and “women”? This might be an effective way to communicate embodiments of cultural values (without “”)—how they are real performances—and simultaneously their constructedness—as performances of real. What if autocorrect acted like a clinamen and swerved language by completely constraining the use of passive voice in favor of active, in favor of more clarity than obfuscation, of consequences, rather than a scientific or bureaucratic veil? For us Bumble’s response to Tinder is a wonderful example of find/replace pedagogy in action—an imagined solution that became a successful technofeminist practice. Bumble can be thought of as a practitioner of anomaly in how it reframed swipe as a tool and the practices for swiping to create a more equal, equitable, situation for genders in dating environments. We find/replaced a little though in Bumble and wondered if it there could be a syzygistic element added to Bumble to further increase its technofeminist potential. We wonder if Bumble’s empathy would increase if it showed rejects as well as matches. Would the empathy of the user increase once confronted with the syzgistic feature of seeing those deemed “unattractive” or “unworthy” alongside those who received a right swipe? And what if the rejection pile reveals a larger number of one race over another, could that issue of systemic attraction be rectified with the syzgistic feature? Finding answers to these questions is a pataphysical exercise, an attempt to create technofeminist solutions regarding equitable treatment to those swiped left on, an attempt to increase the empathy of an already empathetic app. practically pataphysical (differing from the bizarre science of Jarry only insofar as ideology must disavow its own imaginariness, forbidding and deliberate suspension of disbelief” (Bök, 2002, p. 100). And though pataphysics can certainly “enable ideology…the ruses of ‘pataphysics can also expose ideology, revealing it for the illusion that it is” (Bök, 2002, p. 100). For us a patagogy, a pedagogy drawing on elements from pataphysics and using find/replace technologies, is technofeminist action. It asks people to practice thinking about the world in terms of the as if and as ifn’t instead of the default as is and as isn’t. Using find/replace is our simple way of using technology as feminists and practicing patagogy. While certainly there are ethical issues that may arise, unexpected pairings, and consequences that may not lead one to feminist practices, the goal is moving towards a better as if, to transforming the as is. It could be worse. Yeah…but it could be better. 1. A syntagm is “the orderly combination of interacting signifiers which forms a meaningful whole” (Chandler, 2016). A paradigm “is the set of	associated signifiers or signifieds which are all members of some defining category, but in which each is significantly different” (Chandler, 2016). 2. While it could be argued that Tinder has a higher frequency of trolls due to the stereotype of the subculture surrounding the app, we will not be discussing hookup	culture or its side effects in this essay. Instead, we focus more on the technology and how Tinder differs from Bumble. 3. As Shattuck (1960) and Hugill (2012) observe, it becomes paradoxical to define pataphysics itself since it would then become a rule of application to all situations, rather than exception. Jarry's (1960) definition describes the rule well: “‘Pataphysics will examine the laws which govern exceptions, and will explain the universe supplementary to this one; or, less ambitiously, will describe a universe which can be--and perhaps should be—envisaged in the place of the traditional one, since the laws that are supposed to have been discovered in the traditional universe are also correlations of exceptions, albeit more frequent ones, but in any case accidental data which, reduced to the status of unexceptional exceptions possess no longer even the virtue of originality.” ( p. 131). Almjeld, J. & England, J. (2015-2016). Welcome to training technofeminists: A field guide to the art of girls’ tech camps. forms. Critical Discourse Studies, 10(3), 187-204. Bök, C. (2002). ‘Pataphysics: The poetics of an imaginary science. Evanston, IL: Northwestern University Press. Boyle, C. (2015). The rhetorical question concerning glitch. 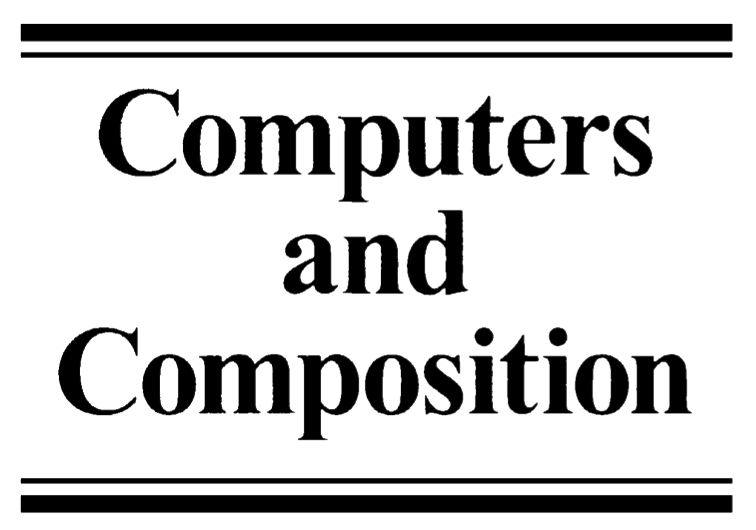 Computers and Composition, 35, 12-29. (179-196). Urbana, IL: University of Illinois Press. Bumble. (2017). Frequently asked questions. Retrieved from https://bumble.com/en/faq. CBC Radio. (2018, Feb. 25).The politics of citation: Is the peer review process biased against Indigenous academics? [Audio recording]. Chamberlain, E., Gramer, R. & Hartline, M.F. (2015-2016). Mess not mastery: Encouraging digital design dispositions in girls. Davis, A. Y. (1990). Women, culture, & politics. New York: Vintage Books. Emerging Technology from the arXiv. (2017, 0ct. 10). First Evidence That Online Dating Is Changing the Nature of Society. (203-214). Urbana, IL: University of Illinois Press. and pedagogy. Journal of Business and Technical Communication, 26(3), 277-310.
for creative search. Digital Creativity, 24(3), 237-251. Hugill, A. (2012). ‘Pataphysics: A Useless Guide. Cambridge, MA: The MIT Press. Jarry, A. (1960). Elements of ‘pataphysics.’ Evergreen Review, 4(13), 1960, 131-132. Jones, R. H. and Hafner C. (2012). Understanding digital literacies: A practical introduction. New York: Routledge. Katz, S. B. (1992). The ethic of expediency: Classical rhetoric, technology, and the holocaust. College English, 54(3), 255-275. Montgomery, L M. (1976). Anne of green gables. New York: Bantam Books. Paralipsis. (n.d.). In Silva Rhetoricae: The Forest of Rhetoric. Retrieved from http://rhetoric.byu.edu/Figures/P/paralipsis.htm. Selber, S. A. (2004). Multiliteracies for a digital age. Carbondale: Southern Illinois University Press. Shattuck, R. (1960). Superliminal note. Evergreen Review, 4(13), 24-33. 29/31 Garfunkle & Oates. (n.d.). In Genius Media Group. Retrieved from https://genius.com/Garfunkel-and-oates-29-31-lyrics. Wachter-Boettchter, S. (2017). Technically wrong: Sexist apps, biased algorithms, and other threats of toxic tech [Kindle]. Warschauer, M. (2003). Technology and social inclusion: Rethinking the digital divide. Cambridge, MA: The MIT Press. Yashari, L. (2015, Aug. 7). Meet the Tinder co-founder trying to change online dating forever: On Bumble, women always go first. Vanity Fair. Retrieved from http://www.vanityfair.com/culture/2015/08/bumble-app-whitney-wolfe. garfunkleoates. (n.d.). Twitter Profile Picture [Photograph]. Retrieved from https://twitter.com/garfunkeloates?lang=en. CA: Warner Bros. Entertainment Inc, . Laurence Sterne Trust staff. (2011). Christian Bok reading from Eunoia at the University of York 19 May 2011 [Photograph]. Warner Home Video [distributor], . Weitz, C., Gilroy, T., Knoll, J., Whitta, G., Edwards, G., Jones, F., & ... Yen, D. (2017). Rogue One: A Star Wars story [Video].